November 18, 1939 – Sixty-five Columbia County residents initiated formation of Columbia River PUD at Beaver Homes Grange Hall, to be a voice of the people in the utility industry. November 16, 1940 – Following a favorable election by the voters within the service area, the Hydroelectric Commission of Oregon declared the district formed. The PUD held regular meetings and elections but was not an energy provider for the first 40 years of its existence. 1970s – Triple-digit price increases during the energy crisis of the 1970s renewed interest in energizing the PUD. A feasibility study concluded the PUD would be able to provide rate savings to customers. 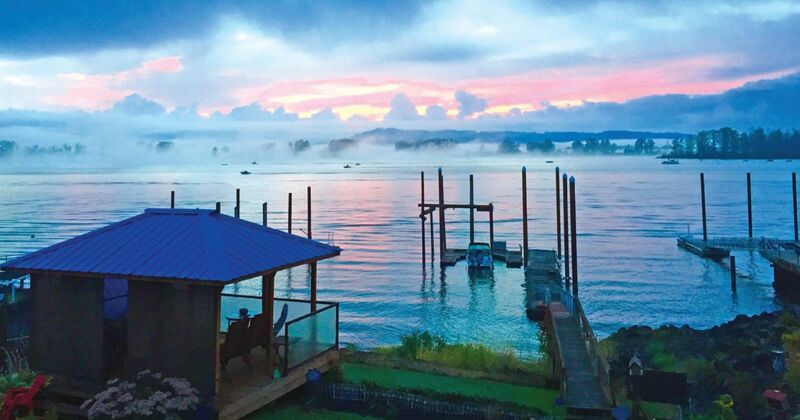 Voters approved a $17 million bond measure in 1980 to purchase the electricity distribution system from Portland General Electric, who was serving the area. 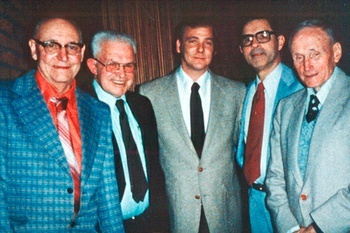 The 1984 Board of Directors: Don Nys, Wes Kimble, Stephen Spinden, Richard Sahagian, and Arnold Tarbell. August 31, 1984 – The PUD began providing electric service to 6,500 customers in Columbia County, under the leadership of General Manager Fergus Pilon. January 1990 – The PUD headquarters in Deer Island was dedicated, and the Tarbell Substation was energized. August 1999 – Dutch Canyon Substation was energized. September 1999 – PGE customers in St. Helens, Scappoose and Columbia City voted to annex into the PUD. July 2000 – Don Nys Substation was energized. August 15, 2000 – The PUD began serving 6,500 additional customers in Columbia and Multnomah Counties. December 2003 – Fergus Pilon retired after more than 19 years as General Manager. January 2004 – Kevin Owens began serving as General Manager. August 31, 2004 – The PUD celebrated 20 years of service. August 31, 2009 – The PUD celebrated 25 years of service. August 31, 2014 – The PUD celebrated 30 years of service. December 16, 2014 – Steve Hursh began serving as Interim General Manager. March 17, 2015 – Rick Lugar began serving as Interim General Manager. August 27, 2015 – John Nguyen began serving as Interim General Manager. November 2015 – The Fairgrounds Substation was energized. April 18, 2017 – John Nguyen was appointed General Manager.